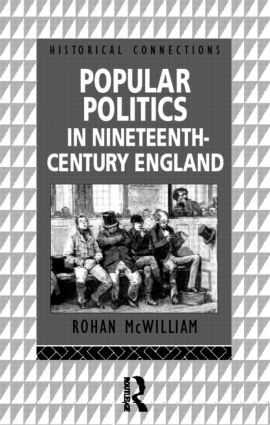 Popular Politics in Nineteenth Century England provides an accessible introduction to the culture of English popular politics between 1815 and 1900, the period from Luddism to the New Liberalism. This is an area that has attracted great historical interest and has undergone fundamental revision in the last two decades. Did the industrial revolution create the working class movement or was liberalism (which transcended class divisions) the key mode of political argument? Rohan McWilliam brings this central debate up to date for students of Nineteenth Century British History. He assesses popular ideology in relation to the state, the nation, gender and the nature of party formation, and reveals a much richer social history emerging in the light of recent historiographical developments.